The best way to keep from getting lost in the wilderness, is to always know where you are. This starts with orienting your map before going anywhere. Here is how to do it. Orienting a map is a starting point to identify where I am, where I want to go and where I have been. I orient my topographic map (topo) before I leave the trail head and at regular intervals during a hike. It is a process that involves both map and compass. Of course, orienting a map can be done without a compass and done visually. I find using a compass takes just a tad more time and the more hands on time with the compass the better. Correctly orienting my map allows me to get “dialed in” to my surroundings. It is a process where I align the map, compass and GPS to the terrain before me. This orientation procedure is a great opportunity to involve young people in backcountry navigation. 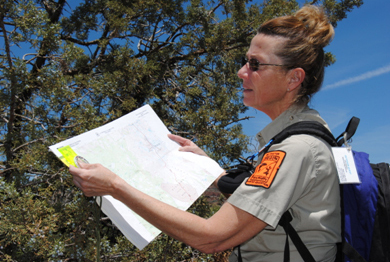 Give them a quick review of topo basics and your plan before starting out. 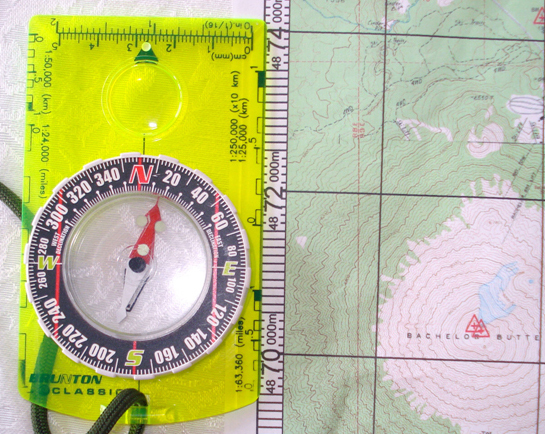 A topo is your key to the backcountry. 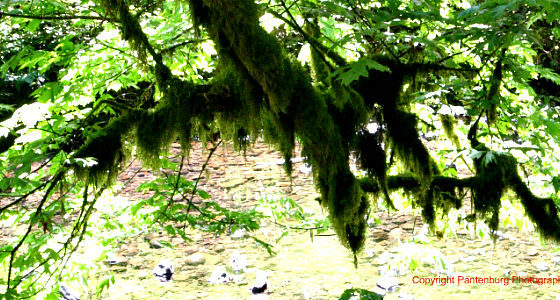 It unlocks the critical information regarding sources of water, woodlands, trails, roads, grid information and elevation. I use a US Geologic Survey (USGS) map at the scale of the map should be 1:24,000. National Geographic has superb topos of the National Parks and you may find quality maps of this scale of the area you will travel in. Quality outdoor, printing and mapping stores will have such a map available. While you get comfortable with a hard copy paper map, experiment with map software (www.mytopo.com) or internet sites that offer free maps (www.mappingsupport.com.) Aerial imagery such as Google Earth (www.google.com/earth/index.html) compliments the topo. 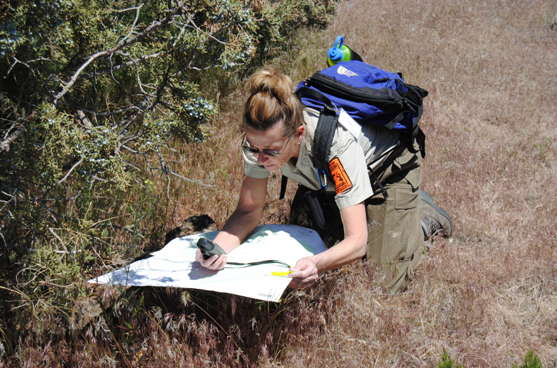 A great reference for navigating a topo is the book “Staying Found ” by June Fleming. 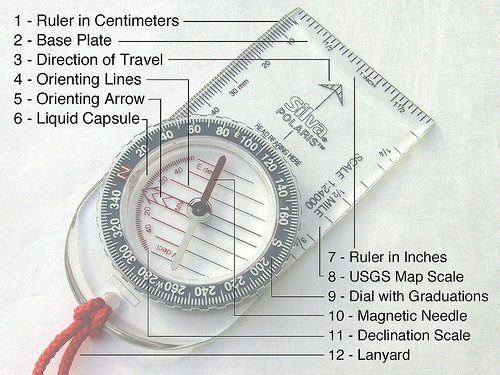 Moving on to the compass, I recommend backcountry travelers include a declination adjustable compass such as the Brunton 8010G , Silva Ranger or a Suunto M2 in their survival cache. Declination is the angular difference between true north and magnetic north. A declination adjustable compass keeps things simple. For example, a compass adjusted to degrees true will match the same orientation as the map; all in degrees true. On some commercially produced maps you really have to look for this information. 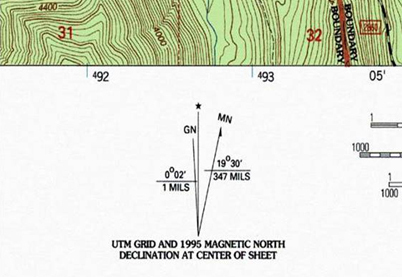 Declination informationshould be verified at www.magnetic-declination.com. This is essential in the Pacific Northwest where maps are notoriously out of date in terms of road, city and some trail data. Using the manufacturer’s instructions, I adjust the compass for declination. 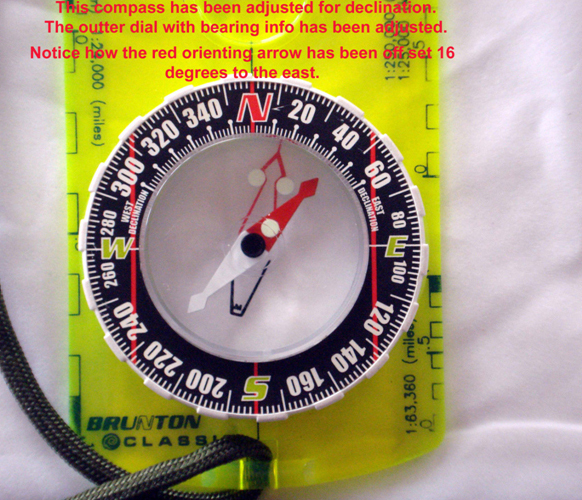 If your declination is east, observe the orienting arrow (on a Brunton 8010G ) rotate in a clockwise direction (see picture below.) If declination is westerly adjust counter clockwise. Now both the topo and compass will be oriented to true north. At this point, I evaluate the topographic features of the map and compare it to the terrain in front of me. Identification of features such as buttes, mountains, waterways and the relationship between feature and map are very important. I make a point to visually reconcile what is seen with the map. I do it two ways. First, correlate from the topo map to the terrain. Using the Cascade Mountain range as an example, from the trail head I should see the South Sister summit to the northwest. Second, correlate from terrain to the map. An example would be to observe Broken Top to the north east and then determine if that observation matches the map. If this relationship cannot be made then I delay forward movement. I want to be as dialed in as the compass. 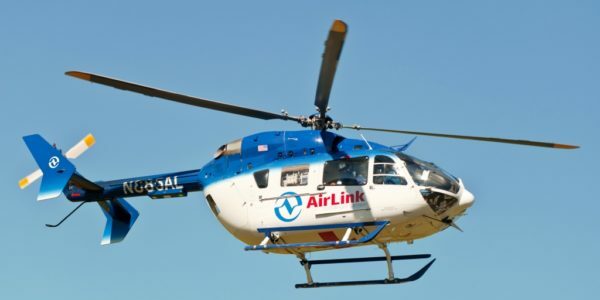 This can be difficult in bad weather with limited visibility. In such a situation I’ll check my GPS , verify and plot my position on the map. I may resort to dead reckoning as I proceed. To be certain, I plot my position more frequently. Further, I’ll identify large terrain features that will become my “backcountry handrails.” (Handrails can include roads, railroad beds, ridgelines, power transmission lines and streams.) If possible, I’ll talk to others on the trail to learn of their observations and recent experience. I always try to preload map software loaded into my GPS receiver. I can compare this information with that of my map. First, I’ll set-up my receiver to report compass information in degrees true; matching my topo and compass. Now I compare my GPS to my map and terrain. 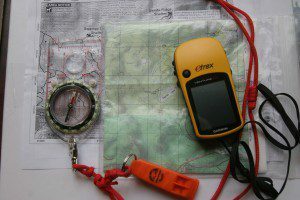 Now that you have oriented your map, compass and GPS you have completed an important first step in land navigation and are ready to head out. Blake Miller has made a career out of staying found and knowing where he is at all times. His formal navigation training began when he joined the U.S. Navy in 1973. He served as an officer aboard several Navy ships over his twenty-year career; many of those tours included the duty of Navigator. Blake began working with satellite navigation systems at sea in 1976, culminating with the then-new Global Positioning Systems aboard the Battleship WISCONSIN in early 1990. As a volunteer, Blake teaches navigation and survival classes, to students in the local school district and conservation groups. He is a member of a Search and Rescue team.